Promoting HEMA through academic efforts and publishing is one of the IFHEMA aims. The goal is to develop structures and channels that would enable HEMA oriented authors to conduct research and publish their work according to academic standards. IFHEMA may be heading in the right direction by contributing to the professional partnership with Acta Periodica Duellatorum, a regularly published reference point of HEMA publications. The major part of current IFHEMA work deals with setting up a machine that would serve the needs of national HEMA federations. As an umbrella organization it was set up to help, promote and uphold the processes that bring respective IFHEMA member communities further in their HEMA activities. In addition to the competitive side (see IIC, link) and networking of dozens of clubs, a quiet but strong current is also gaining momentum. This time, the focus is not on respective federations, but on making a joint effort in providing a confident appearance in one of the bastions of modern professional spheres – the academic circles. Until recently, researching HEMA was not considered an academic endeavour in its own right. HEMA approach could appear in the shadow of ‘proper’ academic disciplines such as history or archaeology, yet donning faithful reproductions of historical martial gear and discovering the true meaning of material and written sources was regarded as something to frown upon. People like Daniel Jaquet, Thore Wilkens, and Eric Burkart are pursuing their academic careers in researching HEMA. There is a sizeable group of people, which we also need to take into consideration and it does not belong to academic worlds. A community of non-academic HEMA researchers, who have contributed immensely by locating and interpreting sources and artifacts, and making their results available in many different publications. These researchers are not full-time academics and usually do not aspire to hold an academic tenure. Their approach is tailored to their respective life circumstances and they often deliver their conclusions through publicly available channels of mass communication. In addition to travelling and teaching, they design video channels, dedicated websites, printed books and social networks to get their message across. Their persistence is leading them to a number of significant results with the ‘professional’ academics starting to peek in. What both groups may need today is a sort of a HEMA-dedicated platform where they could publish their conclusions on academic level for the benefit of further HEMA research and studies. The platform itself needs to remain independent, non-profit, with open access and has to provide peer-reviewed information. It is one of the aims of Daniel Jaquet to establish a researchers’ associacion to promote HEMA studies and to foster the emerging field of research. 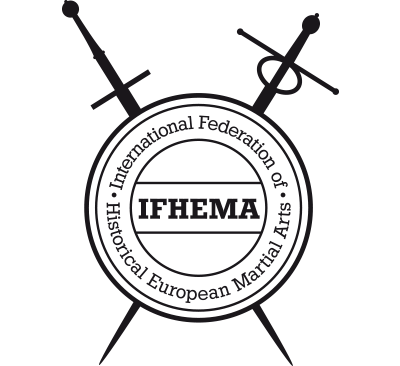 The project is ongoing under the name of SHEMAS, Society for Historical European Martial Arts Studies. In early summer of 2012 Mátyás Miskolczi earned his PhD and wanted to use the momentum to do something useful for publishing community. At first, he wanted to start a journal on logistics, but he soon realized that particular market was already crowded. The idea about a journal still lingered and as Mátyás is also an important member of the Hungarian HEMA community the next step seems very logical. At least in retrospective. I expected nothing less with my question: what about starting a journal on HEMA? Which was an understatement for tears, sweat, sleepless nights and substantial telephone bills when Skype is down. Still, with some chances of enjoying the fruits of labour after a while. As every year, that summer he attended the HEMA summer camp organized by his federation. There he spoke to Szabolcs Waldmann, another pillar of the Hungarian HEMA community, who met the idea with enthusiasm. They both agreed that such a journal offering articles and reviews on HEMA related matters would bring the wider community forward. Daniel Jaquet joined as the third pillar of the endeavour. Mátyás acknowledges that ‘at that time many people were already active in HEMA communities as researchers’. They were involved in very important activities such as locating and reading the sources, transcribing and translating, providing comparative analysis, and developing tools. However, outside HEMA communities, especially in academic circles, the term researcher carries an additional expectation – an academic activity. ‘There is a gap between academic and HEMA research’ Mátyás explains. That does not mean that non-academic contribution is less valuable in any way, but in order to get accepted by other scholarly communities, publications should comfort to certain forms and procedures. The journal he had in mind would help bridging the by motivating its contributors to develop methodology and apparatus, which would bring their work closer to those communities and make it available for further academic research. I was interested in knowing what other communities he had in mind. Mátyás certainly had a point. Sport sciences, biomechanics, physics, metallurgy, and linguistics are just some of many disciplines a researcher of HEMA has to include to proceed with work; surely the outcome can go both ways. Mátyás agrees that not all independent researchers should assume a uniform style of publishing, but certain methodology has to be established. This is the ground that Acta Periodica Duellatorum (APD) has stood on for three years. In this time three issues were published, divided in two parts. The Scholarly section contains articles with scientific (scholarly) character and is managed by Daniel Jaquet, a Swiss academic. The Practical section delivering articles ‘which mainly support HEMA trainings or interpret manuscripts’ and are not academic, but of credible quality. This part is led by Szabolcs Waldmann. Until now, Acta Periodica Duellatorum published 29 articles in total by almost two dozen authors, titles ranging from Translation memory and computer assisted translation tool for medieval texts and Honour and Fighting Social Advancement in the Early Modern Age to The Spanish response to the Italian fencing tradition and Organization and Regulation of Fencing in the Realm of France in the Renaissance. Call for papers is always announced on the Acta Periodica Duellatorum website with all deadlines stated. After submitting an proposal with a short description of the topic and the concept, the Editorial Board decides on suitability. After the abstract is accepted, the members of the Editorial Board look for two peer reviewers, who will take on the full paper submitted by the author and do a “blind” or an anonymous review. The peer reviewers file in their feedback, then allow for a certain period, so that the author can amend the paper, if necessary. Mátyás told me that there were cases of authors withdrawing their paper because of a less favourable feedback from their peer reviewers. In some cases it is a hit to self-esteem, naturally, but there are cases when non-academic authors accept it as an opportunity to improve their research and writing with great results. After the final submission of the article, the technical wheels are set in motion and they do not rest until the next issue of Acta Periodica Duellatorum is printed. It takes time, it takes effort, it takes results for the academic bastion to start lowering the bridge. I believe it also takes courage and people with good academic standing are welcome to promote the journal, too. This year, APD founded a partnership with De Gruyter Open, a leading publisher of Open Access academic content (as written on their website). A very important feature besides open access is digital object identification (DOI) to uniquely identify each article online. Soon, Acta Periodica Duellatorum will also be found in the library of the National Museum of Slovenia for the benefit of Slovenian scholars and researchers. Mátyás serves the journal as the Editor in Chief, with the members of the editorial board certainly not strangers to HEMA communities: Daniel Jaquet, János Majár, Szabolcs Waldmann, Attila Törcsvári (with Harald Winter and Scott Brown being members of the initial editorial board). Attila Törcsvári is also the technical editor of APD and Mátyás remembers the impressive article Attila wrote on computer assisted translation tool. Orsolya Waldmann is very valuable to the team for her website management. The team is determined to keep the journal non-profit. All income is directed towards printing and shipping costs, and maintaining the website, while any potential surplus ‘will support research or a charity’. A printed copy of Acta Periodica Duellatorum is available on demand and at major HEMA events for an affordable sum. Mátyás emphasized that before buying a copy, every customer is told that the articles are also made available online free of charge. Hardcopies, however, will be made available based on annual subscription, as is the custom with most of academic journals. The most generous maecenas of Acta Periodica Duellatorum is Peter Regenyei, without his support the journal would probably get stuck before reaching the printing house. In the second year, PBT Historical Fencing started contributing towards covering printing costs. 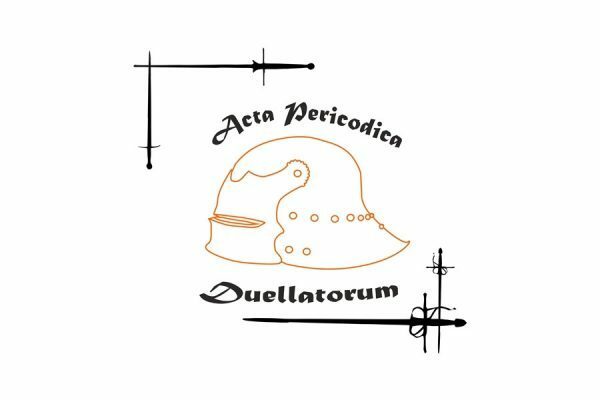 In 2016, Acta Periodica Duellatorum will get a facelift and will present itself with a new website and format. It will remain a serious professional attempt towards promoting HEMA related research, both for academics and communities of practitioners. The team wants the journal to become the first and unavoidable platform for academic writing in HEMA (with publishing academic and non-academic contributors, insisting on double-blind peer review and providing DOI). Both IFHEMA and Acta Periodica Duellatorum are happy to continue their professional partnership, as there are many opportunities offered by a big common interest – motivating and promoting HEMA research in academic and non-academic spheres.